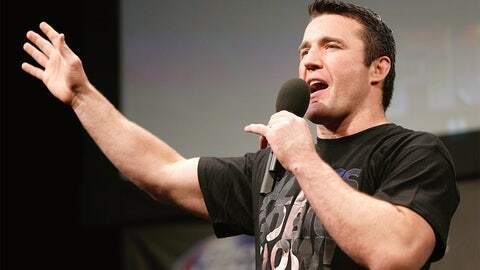 At this rate, Chael Sonnen might be the president of Brazil before the end of the month. The UFC middleweight antagonist, who is coaching The Ultimate Fighter: Brazil against Wanderlei Silva, tweeted this morning that he has now taken the reigns of both squads. I have taken control of both teams. Wanderlei is my assistant. Everything will be fine. In an apparent response to that post, Sonnen told UFC Tonight’s Ariel Helwani on Wednesday: "It’s real. Everything about Wand is real. Well, except his eyebrows, forehead and record in PRIDE." All of this begs the question, what the hell is going on down there? This comes a week after UFC president Dana White told reporters that Sonnen’s coaching staff is scared to just be in Brazil because of all the hostility against Sonnen, from Silva and basically all Brazilians in general. Can Sonnen actually be telling the truth when he says he’s leading both teams? Or is this just one big advertisement for UFC Fight Pass, likely to be the only place in the U.S. you’ll be able to watch this season?